American Cetacean Society - San Francisco Bay Chapter — Jodi Frediani, "Lions and Leopards and Whales, Oh My!" Join ACS San Francisco Bay Chapter for an enthralling evening with Santa Cruz based, award winning photographer Jodi Frediani. 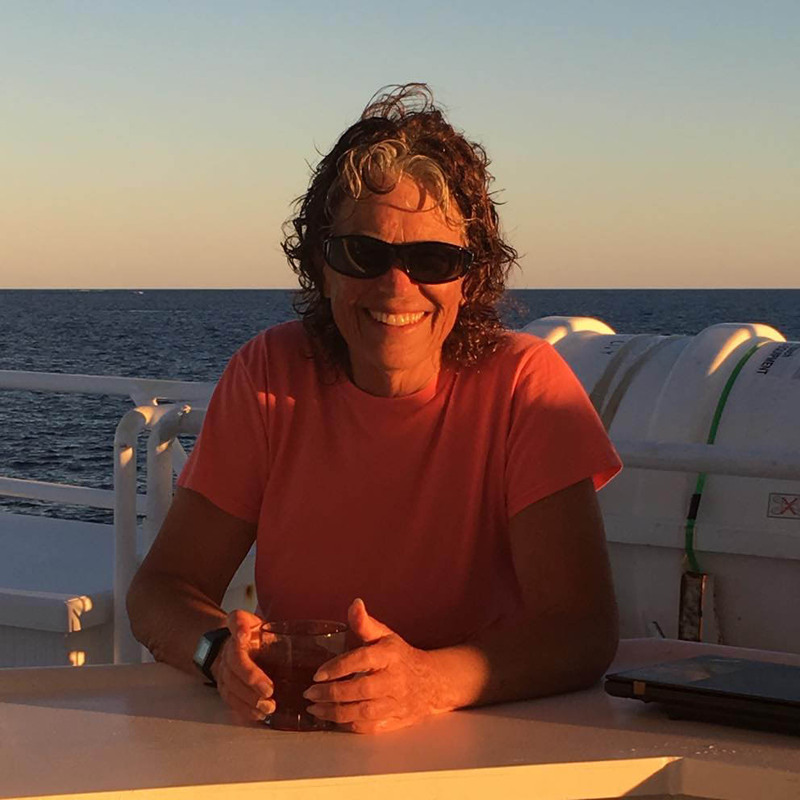 Jodi will take us on a visual journey and natural history and behavioral tour of the many marine species she has met on her extensive world travels. From orcas and humpback whales of Norway to leopard seals, penguins, humpback whales and more along the Antarctic Peninsula, we’ll have the opportunity to meet these animals through her eyes. She’ll share underwater photos from the Silver Bank off the Dominican Republic where she regularly swims with humpback mothers and calves, as well as underwater photos from Tonga’s humpback breeding grounds. Her presentation will also include images from Monterey Bay including tiny jelly-like creatures (Velella velellas), and the largest mammals to have ever lived on planet Earth (blue whales). Her photos will include amazing lunge-feeding humpbacks and the fish they feed on, hunting killer whales, lazy sea lions, sharks, mola molas, sea birds, and much, much more. Come learn a bit about the lives of these wonderful marine animals we are fortunate to share the planet with and enjoy catching a glimpse of them in action. Registration is recommended as we expect a high level of interest! We’ll reserve seats for Eventbrite registrants. Register to save your seat today! Jodi Frediani is an award-winning photographer specializing in images of marine species. She has been swimming with and photographing humpback whales on the Silver Bank (Dominican Republic) for the past 17 years and off Tonga for the past three. Based in Santa Cruz along the Monterey Bay, she has been photographing our local marine fauna since 2009. Her travels have also taken her on photographic adventures to Alaska, Antarctica, Argentina, Brazil, Norway, and Thailand, as well as Botswana, Kenya, Namibia, South Africa, Swaziland, and Zimbabwe. In addition to her photography, Frediani has been collecting fluke ID photos on the Silver Bank for inclusion in a Dominican Republic catalog prepared in conjunction with the Dominican NGO, CEBSE, and Whale Samana. She also provides fluke ID photos from Monterey Bay and her other travels to Happy Whale, and she is engaged in several scientific projects involving whales. Jodi's images have appeared locally in the Santa Cruz Sentinel, the Monterey Herald and the San Jose Mercury News. They have appeared nationally and internationally in The Atlantic, Wired.com, Brazil’s Veja.com, Hakai Magazine, and the U.K.’s Daily Mail and Daily Telegraph. Some of her marine images can be found in permanent collections at the Monterey Bay National Marine Sanctuary Exploration Center in Santa Cruz and in municipal offices in Samana and Santa Domingo, the Dominican Republic. Her images have been recognized for excellence in multiple national and international competitions and juried exhibits, including the 2017 California Academy of Sciences Big Picture Competition and the 28th Edition of the Memorial Maria Louisa International Mountain, Nature and Adventure Photo Contest. Her work has also been featured by the BBC and National Geographic. You can check out her photography at www.jodifrediani.com.